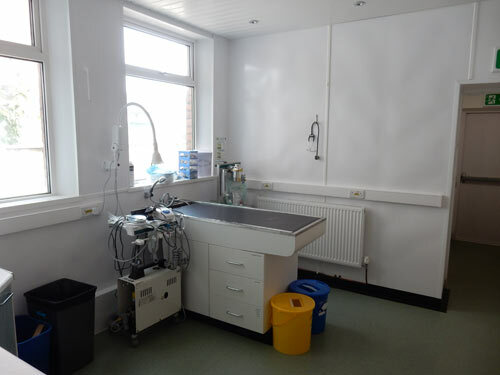 It’s been business as usual for our team of expert vets and nurses, but the eagle-eyed among you may have noticed that there have also been a few changes happening at Withy Grove Vets recently. Finally, after an exciting but busy couple of months, we’re very happy to reveal our new and improved practice! We’re proud that so many loyal clients trust us to look after their beloved pets, so to keep up with demand, we’ve expanded our practice and taken over the building next door. We’re taking full advantage of all the extra room that’s now available to us and using it to improve our pet-focused veterinary care. 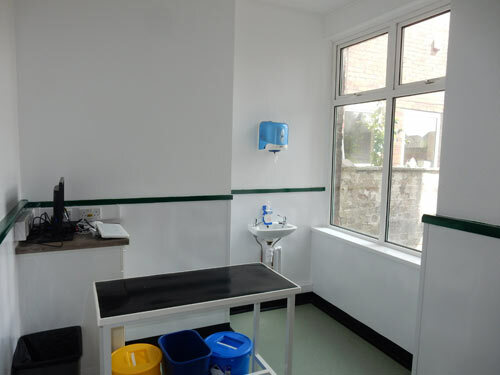 To start, we’re continuing our efforts to create a warm, comfortable and welcoming environment for all visiting pets. It’s something we’re already well versed in, with our current standards winning us an RWAF Rabbit Friendly Vet (Silver Award), an ISFM Cat Friendly Award and an RCVS Practice Standard. 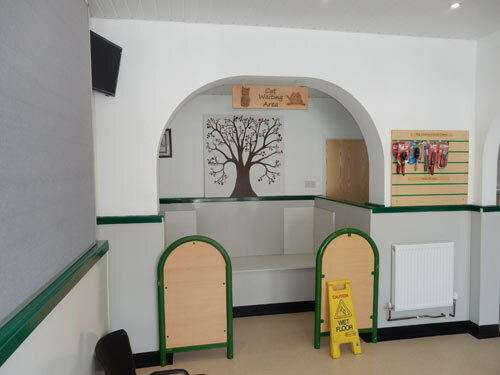 Now we’re going one step further by opening a cat’s only waiting room, designed purely with nervous felines in mind as well as a rabbit specific hospital ward, new nurses clinics, dental room and enlarged waiting room as well as improved isolation areas for infectious pets. We will also have space to re-introduce our popular Puppy Parties which we had to stop a few years ago. You can find out more information about these great services by calling our friendly team on 01772 330103. With our new facilities behind us, we’ll be able to treat our furry patients much quicker and welcome lots of new clients and provide new services. The extra space is already coming in handy, but it also means we’ve got plenty of space to introduce further services in the future. We’ll make sure to update you as and when they fall into place. Until then, pop in next time you’re passing by to check out our fresh, modern and welcoming practice for yourself – we look forward to seeing you soon! 17th – 25th June is Rabbit Awareness Week! What is Raw Feeding and is it healthy and safe?